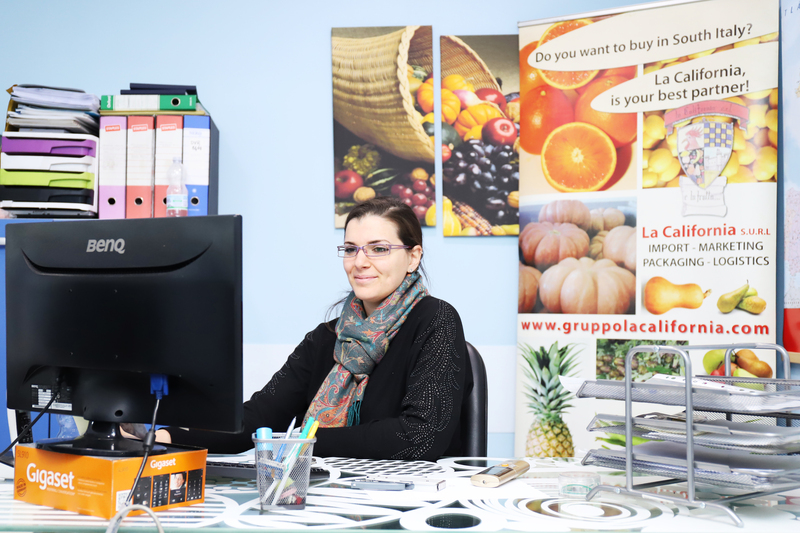 Our mission is to became the reference point for the logistic,in Italy and in Europe; for the packaging and marketing of fruits and vegetables. 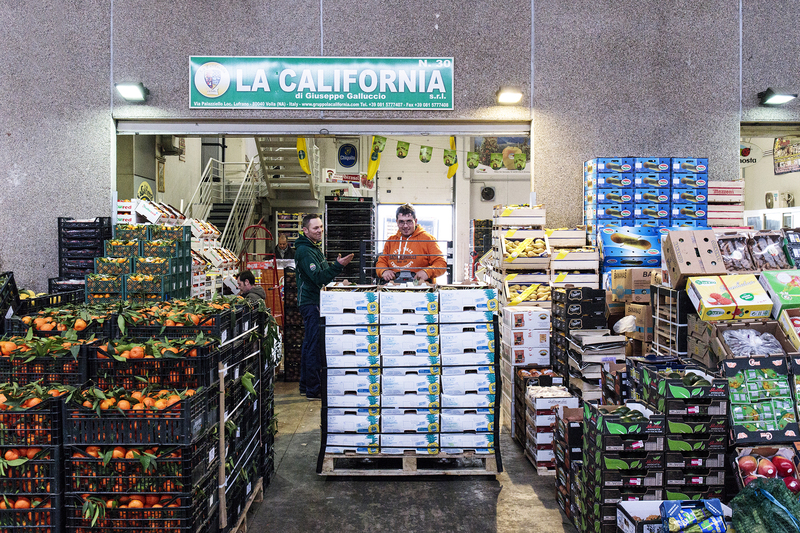 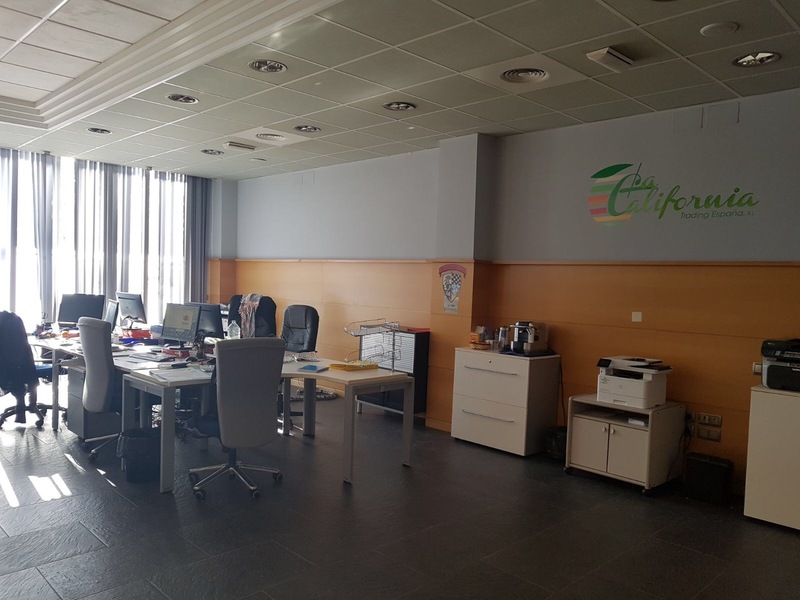 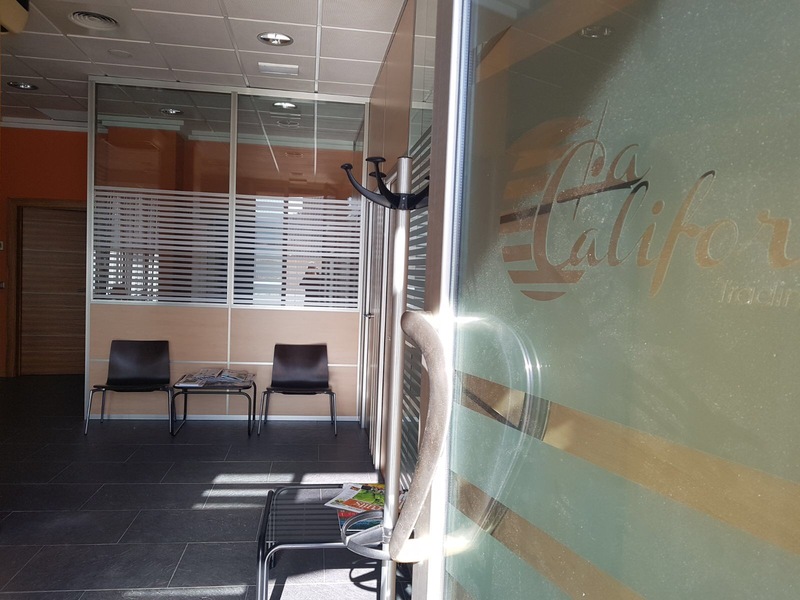 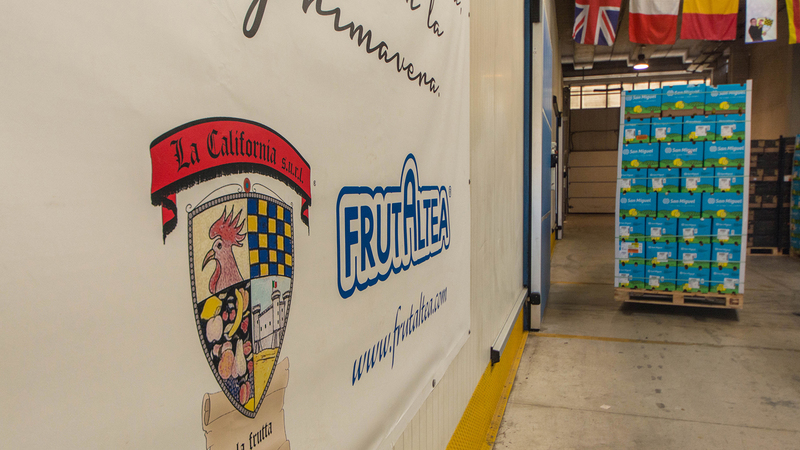 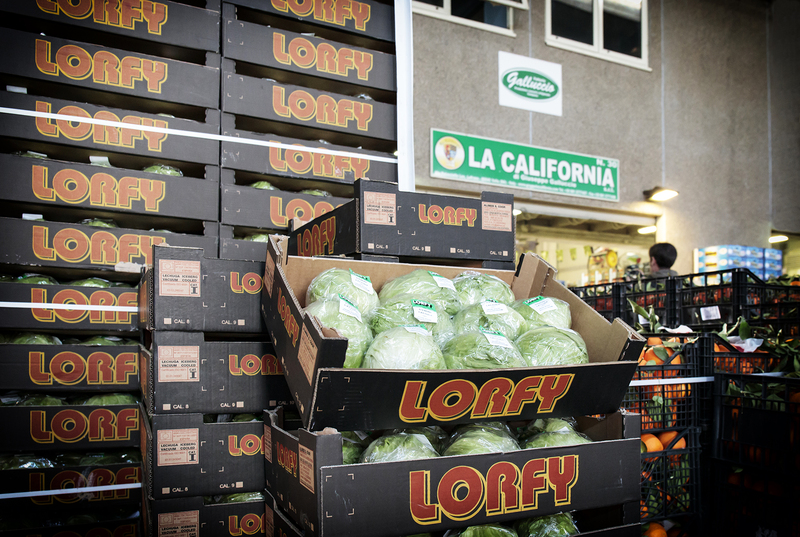 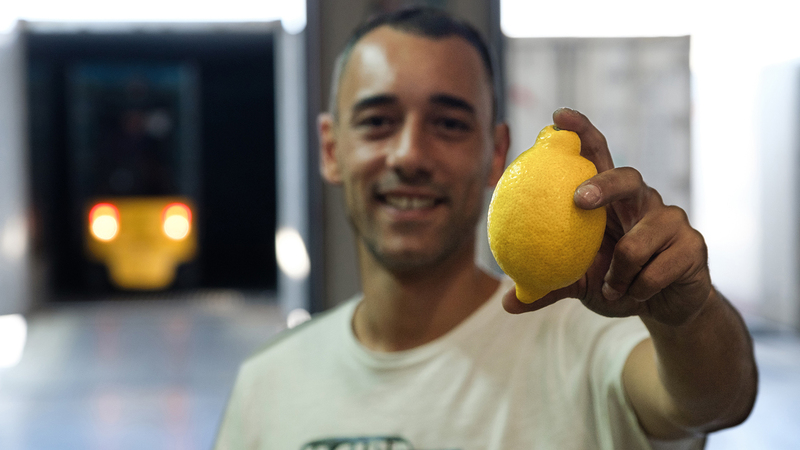 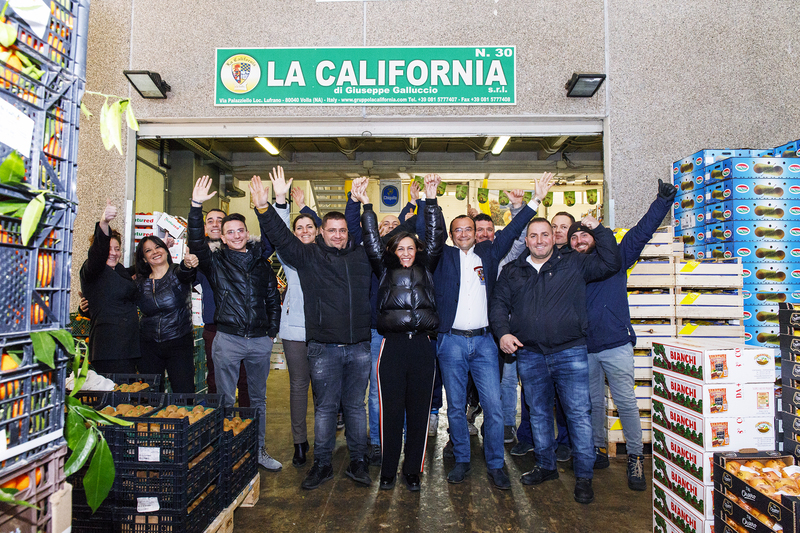 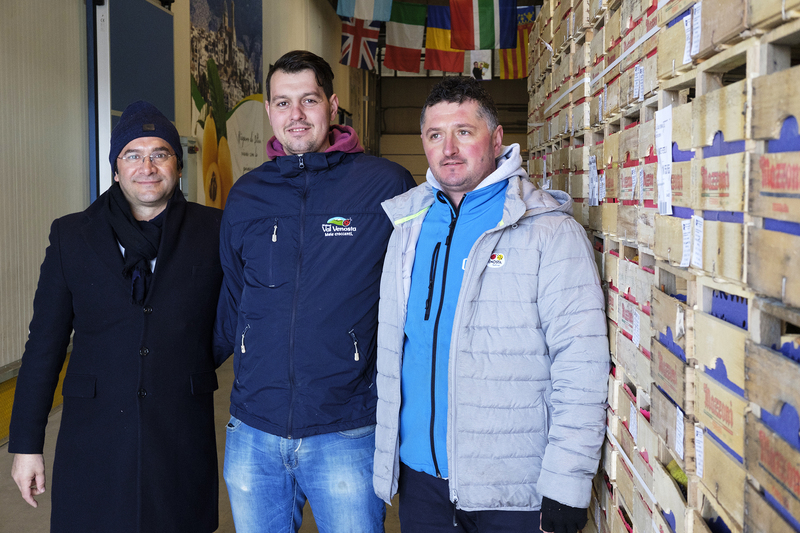 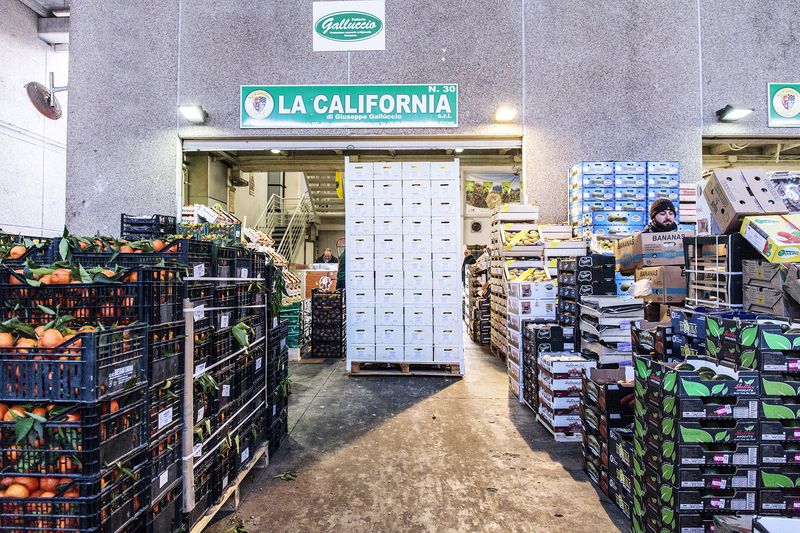 La California Group is a team that with enthusiasme, love, passion and professionality has a goal simple as much as ambitious: to became the reference point for the logistic,in Italy and in Europe; for the packaging and marketing of fruits and vegetables. 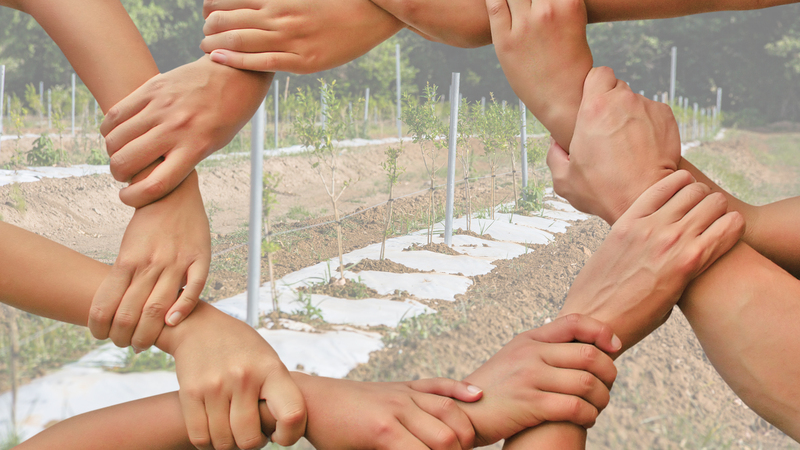 This goal is followed thanks its strategical position. 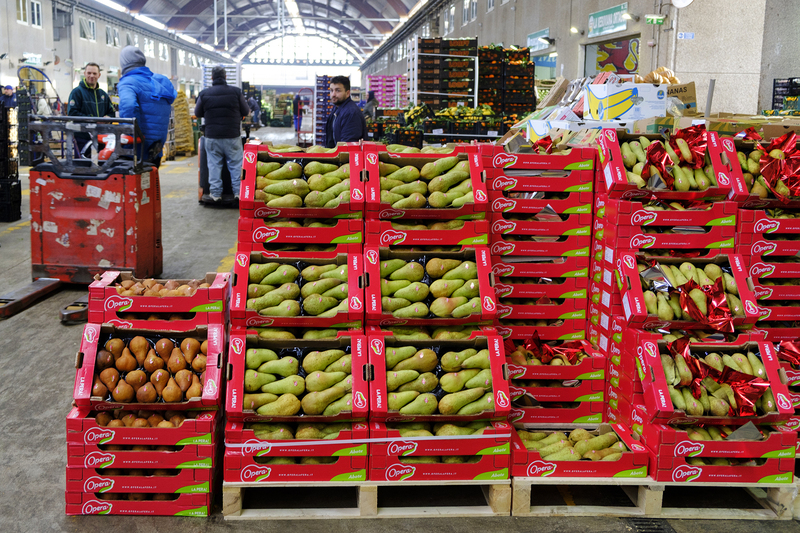 Therefore it is located in the center of ‘Centro Agro Alimentare di Napoli C.A.A.N.’ that is near the port of Naples and Salerno and which has a good cooperation for the import of extra UE products and it is also near to one of the most important railways points, motorways and Capodichino airport which also makes it fast and efficient delivery to its customers. 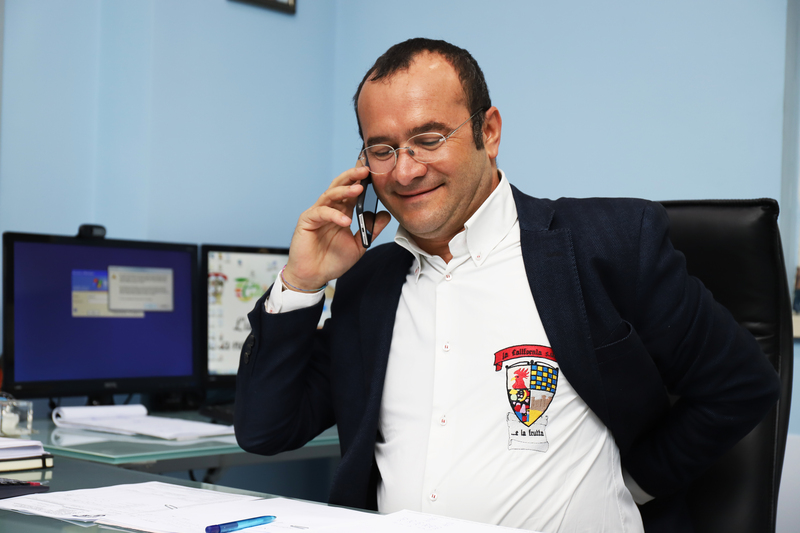 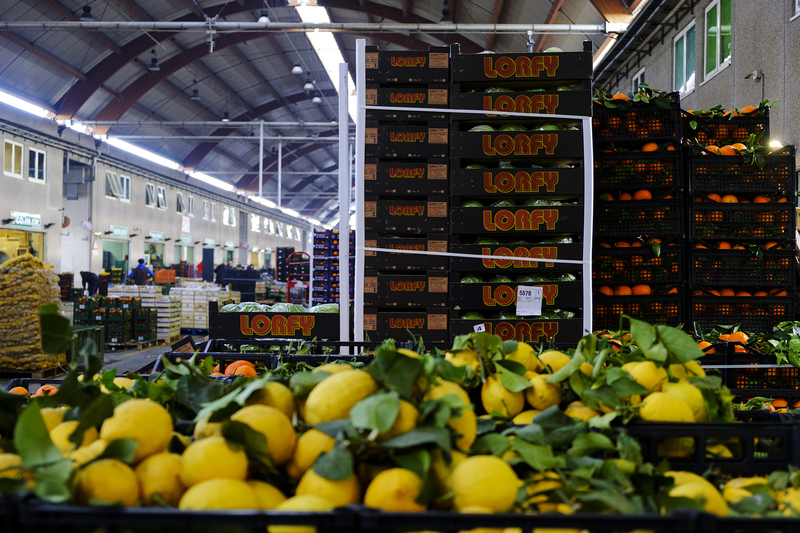 Later the ‘Centro agroalimentare Levante Ligure e Lunigiana (SP)’ became the new operative branch for the north Italy. 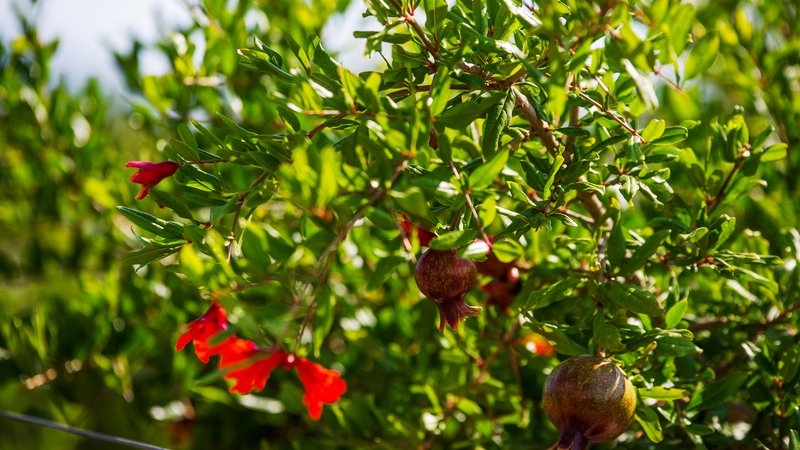 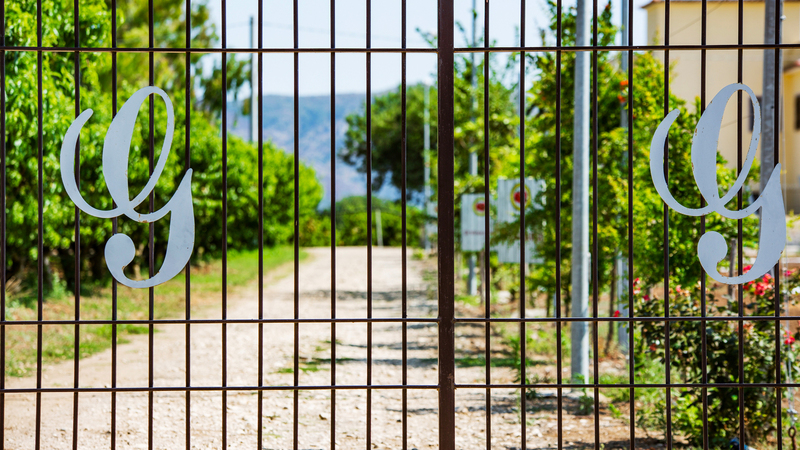 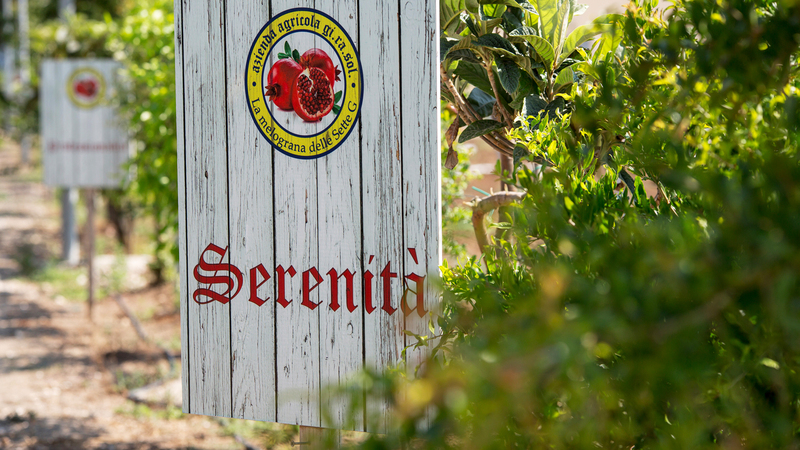 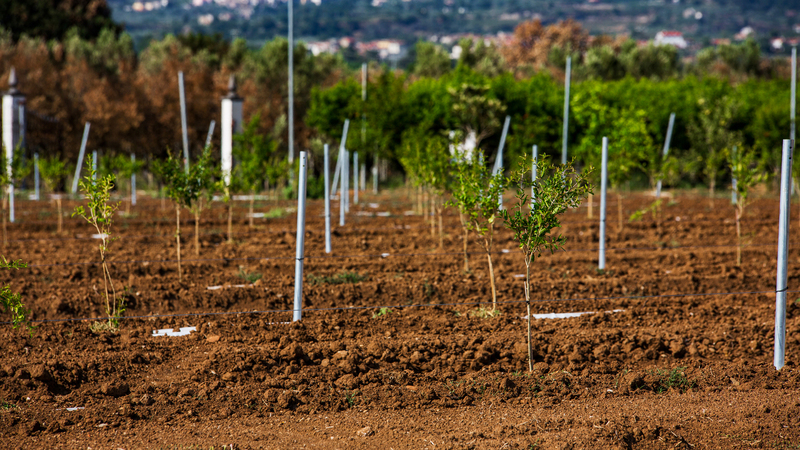 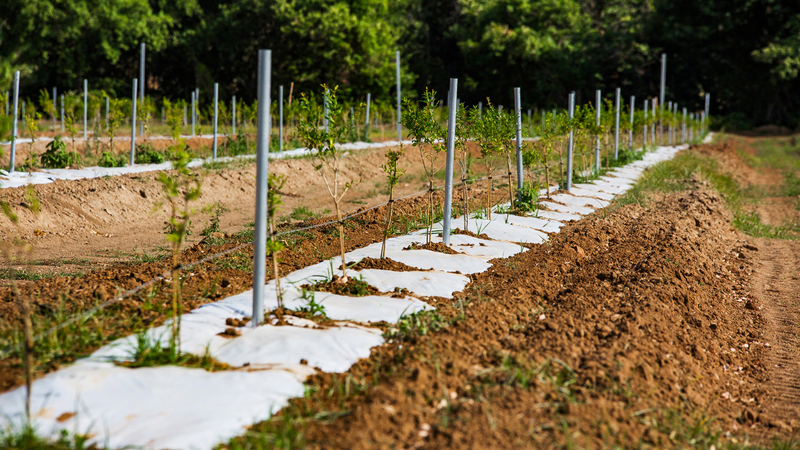 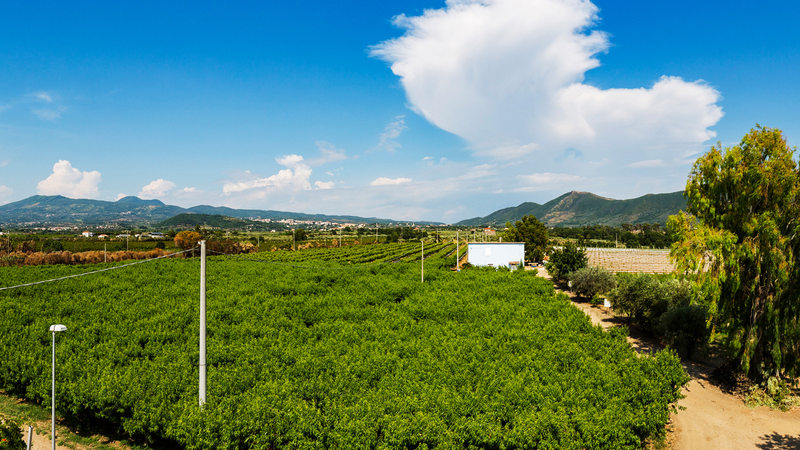 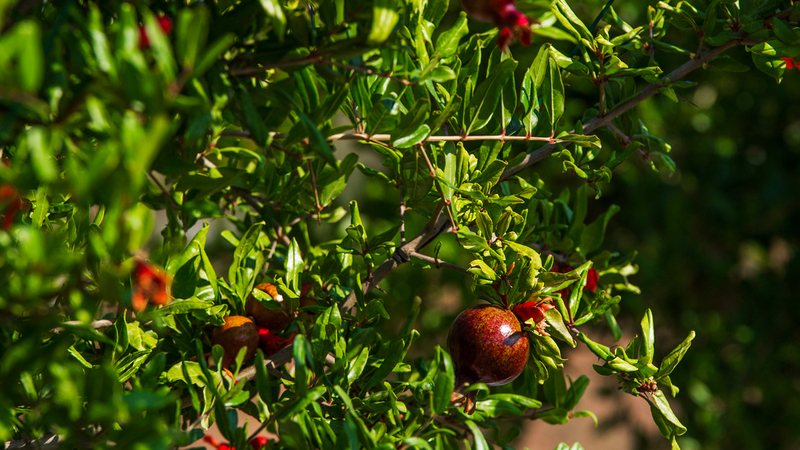 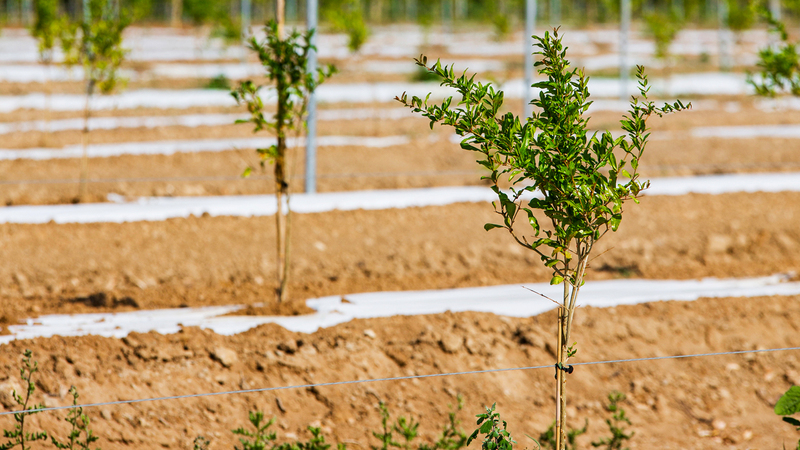 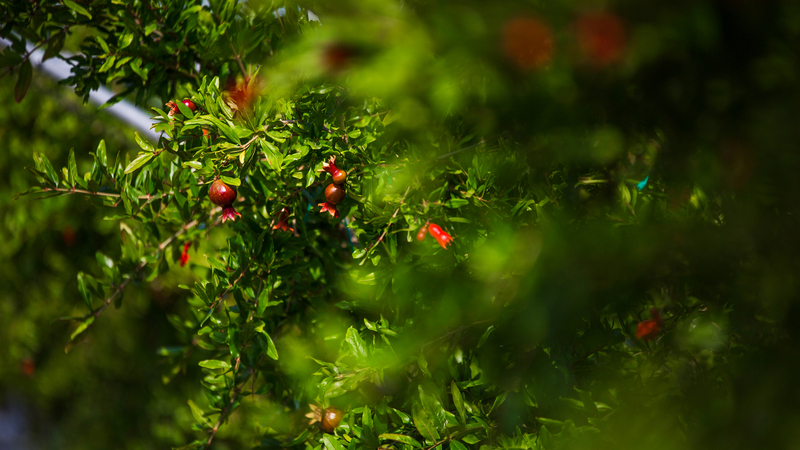 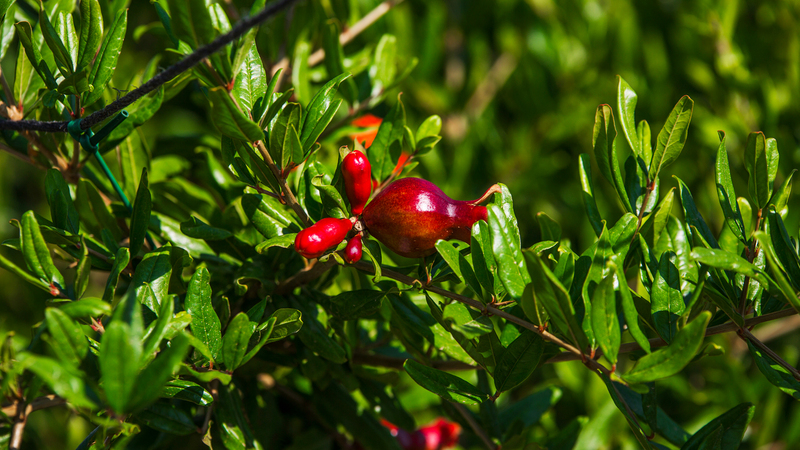 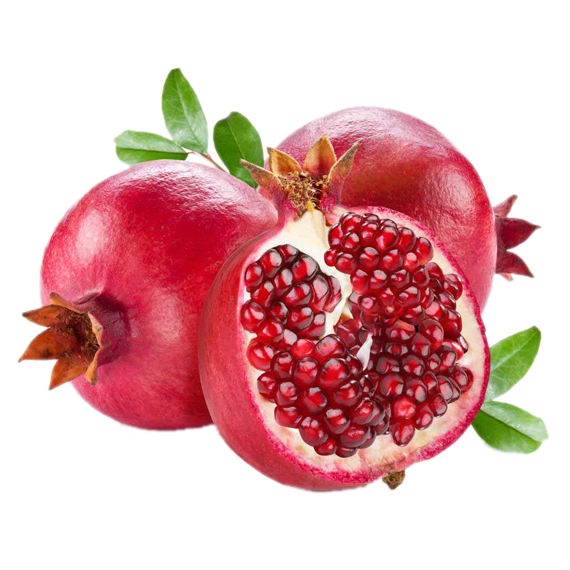 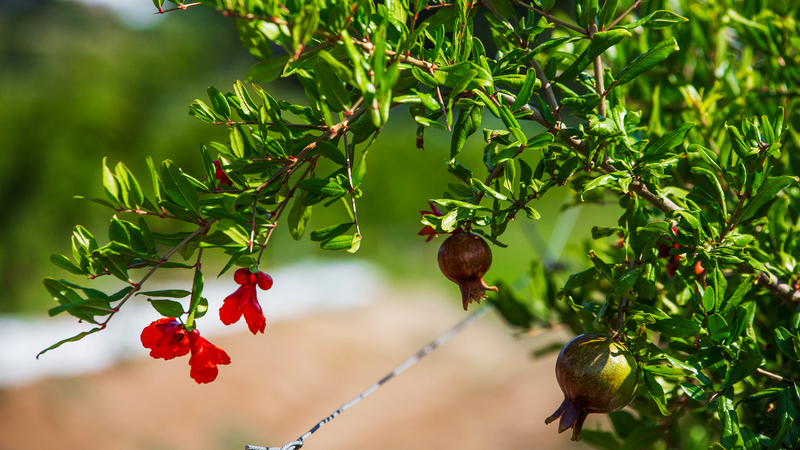 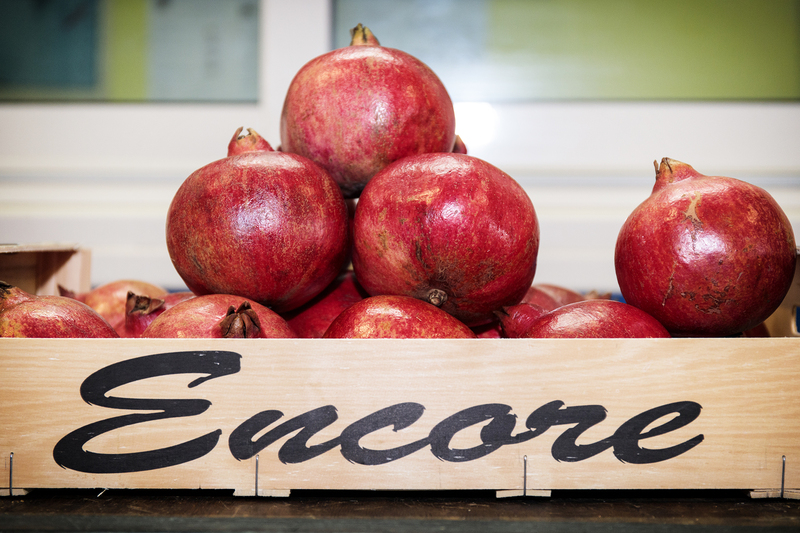 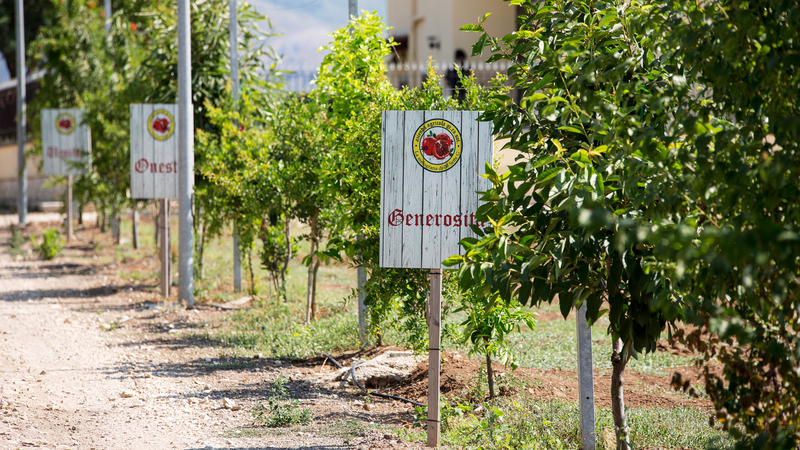 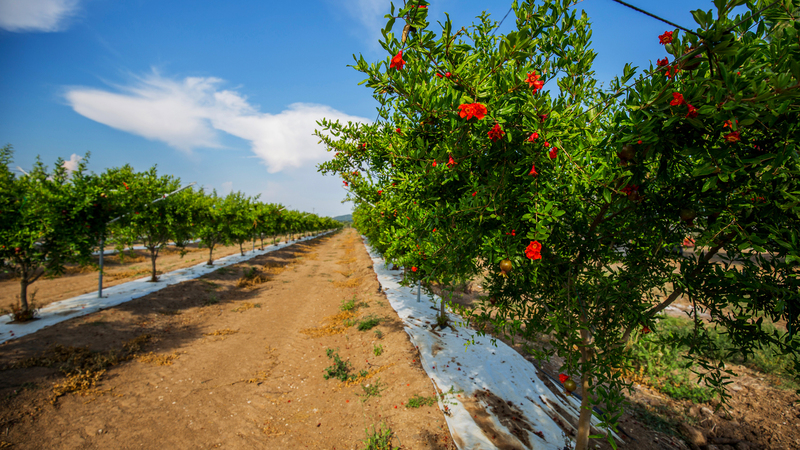 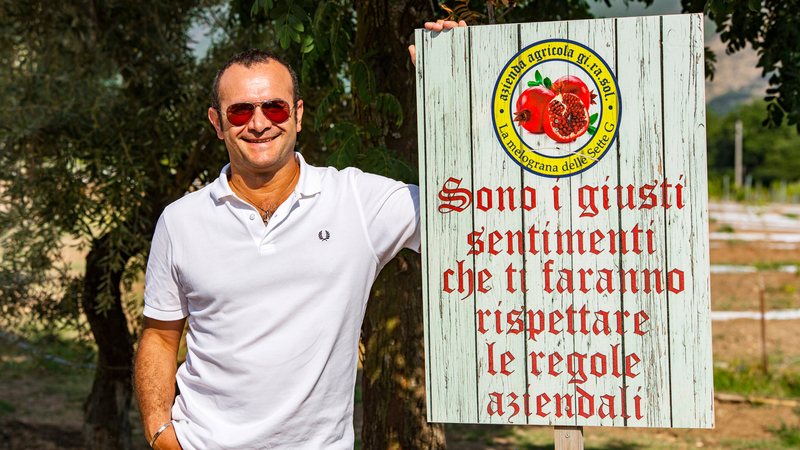 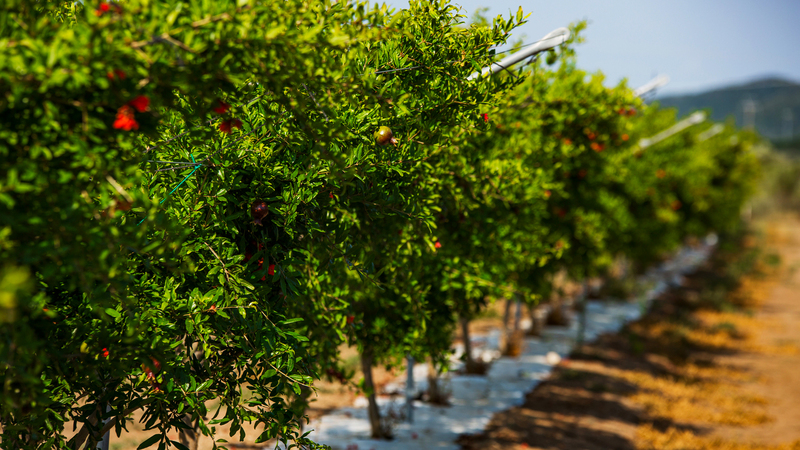 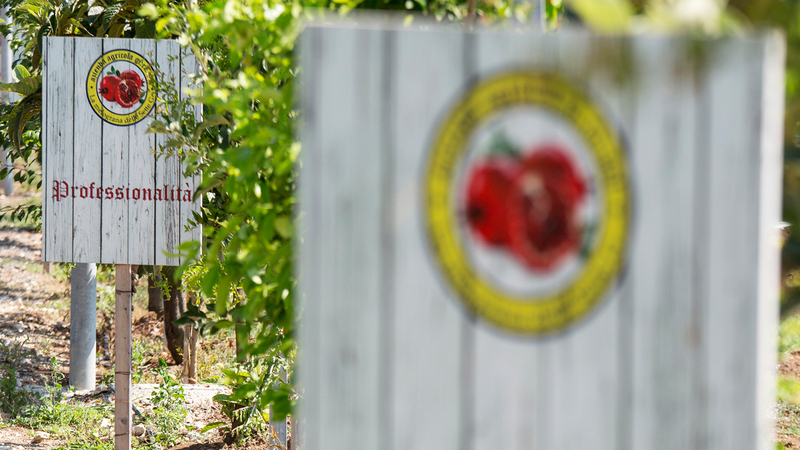 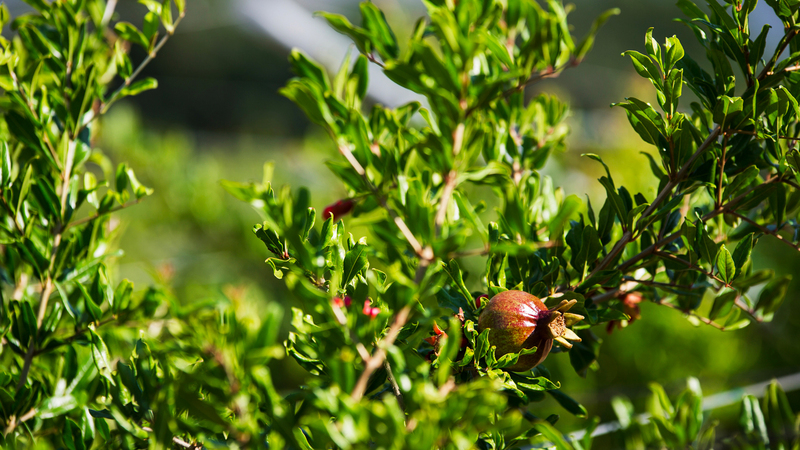 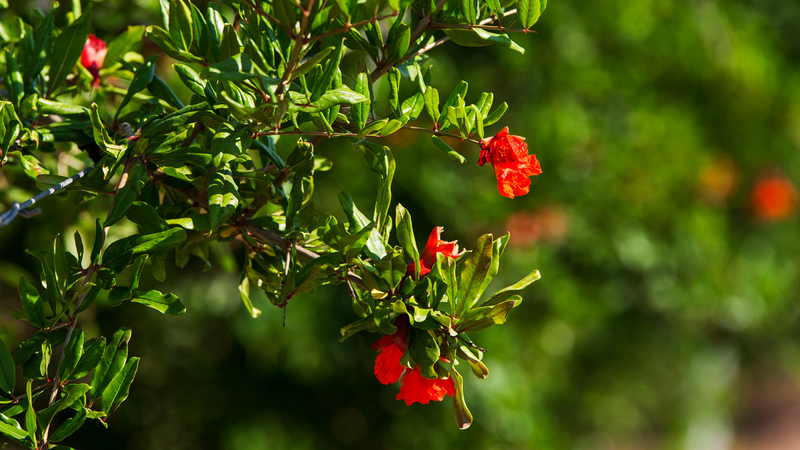 The company Girasol S.S. Agricola is specialized in the production of pomegranate. 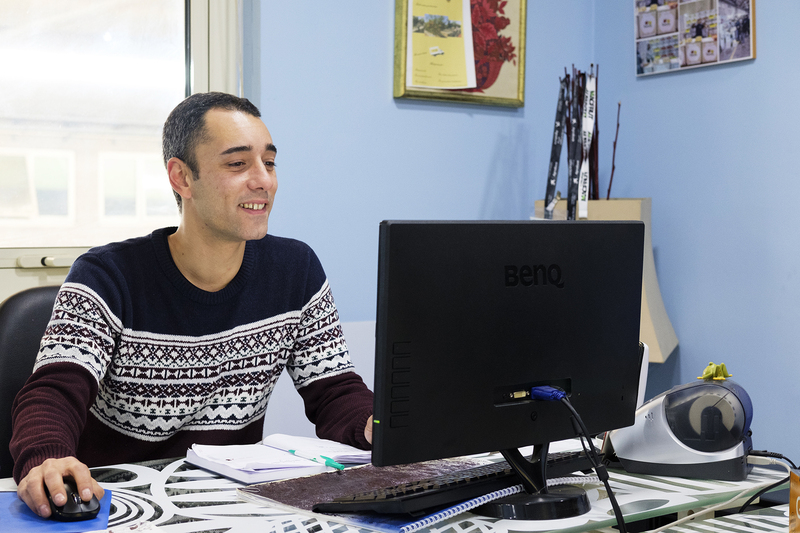 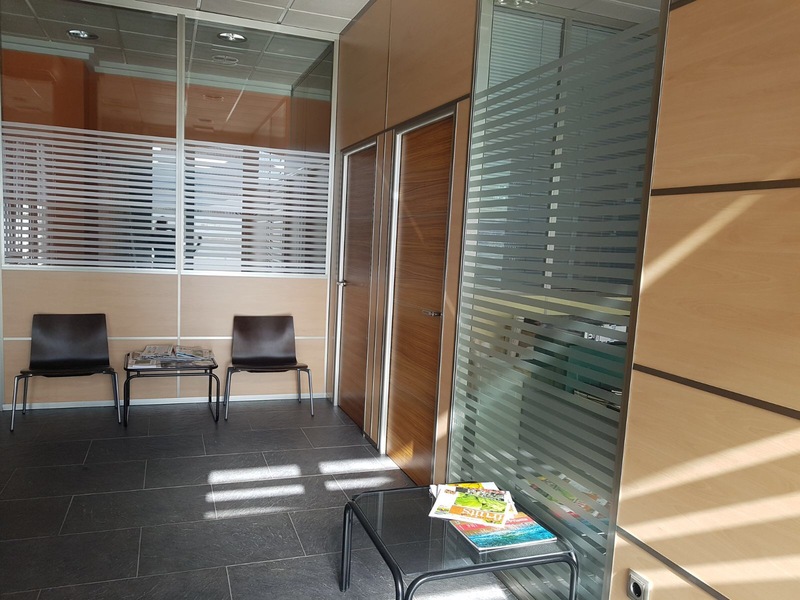 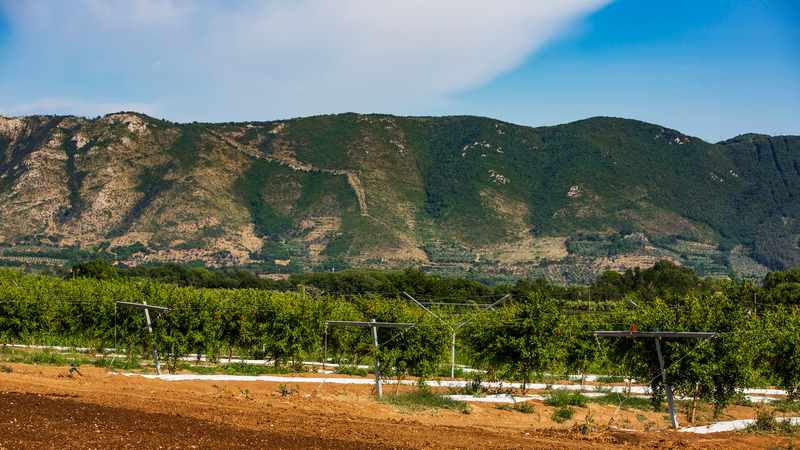 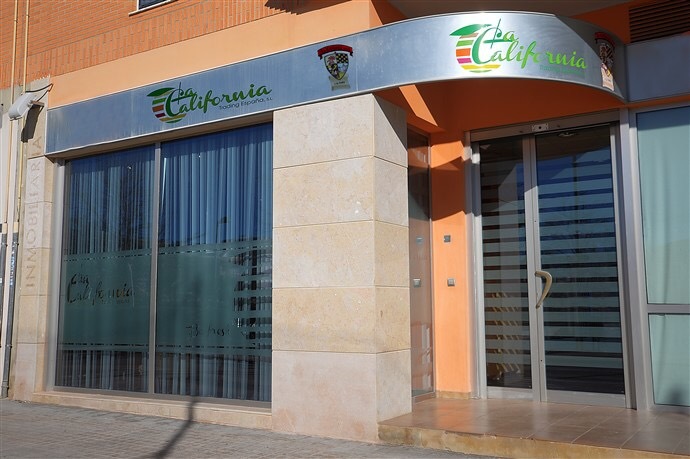 It is a company in Sessa Aurunca (CE) with the mountains behind and in front of the sea, being only 5km from the sea and 3km from the mountains. 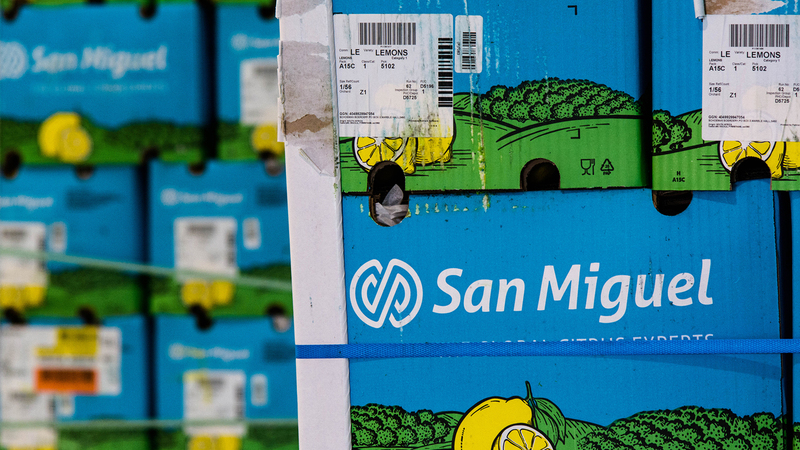 It begins its production network in October to end it in December. 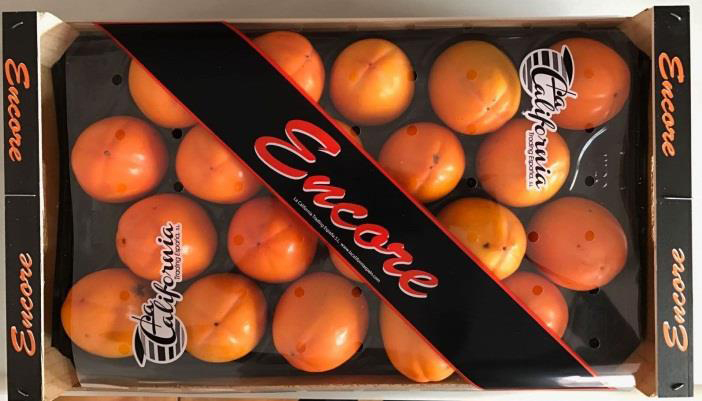 With the right performance he can offer his product up to February. 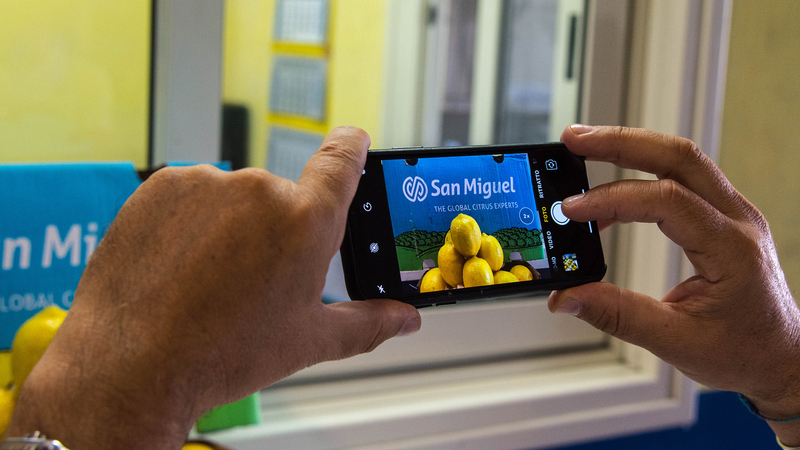 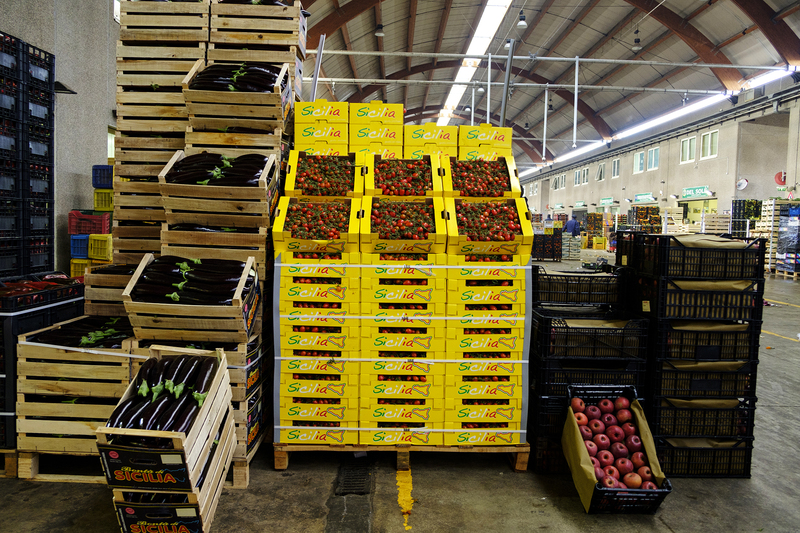 Girasol aims to expand, with other products already marketed, its own production network, both in Italy and around the world. 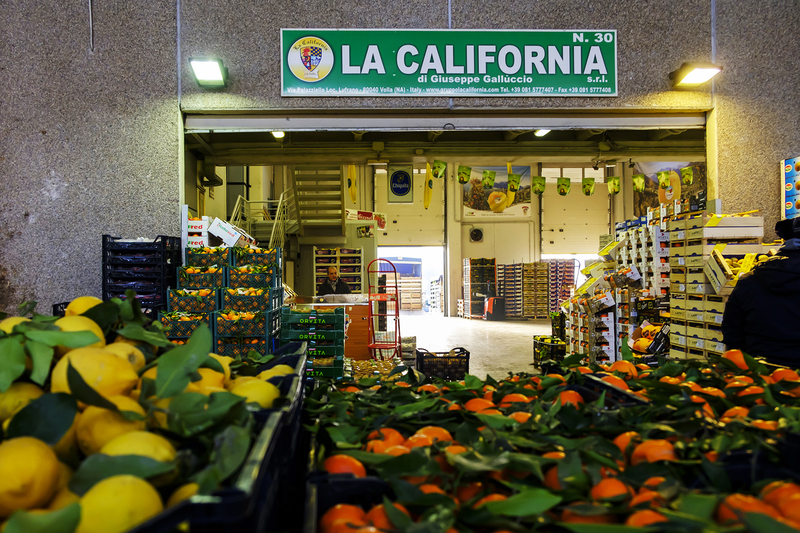 La California s.u.r.l. 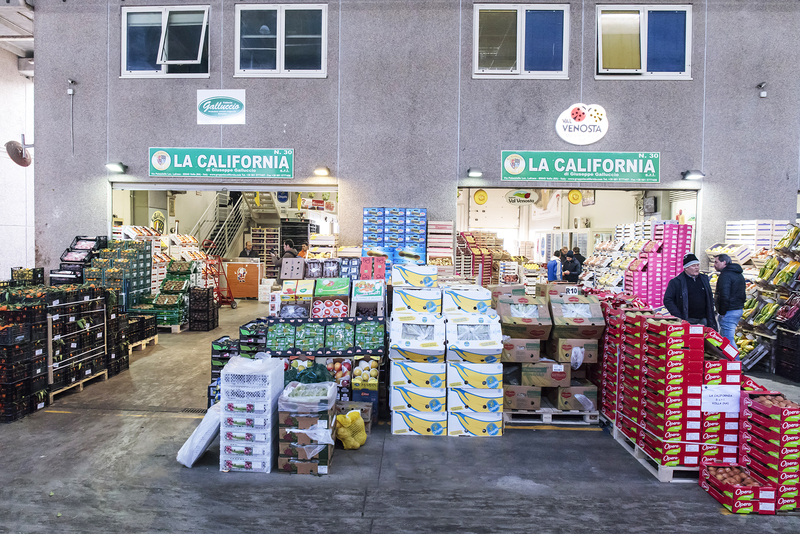 it deals with the marketing of imported and imported Italian products, using two booths for sale from 5,000 to 10,000 hills per day. 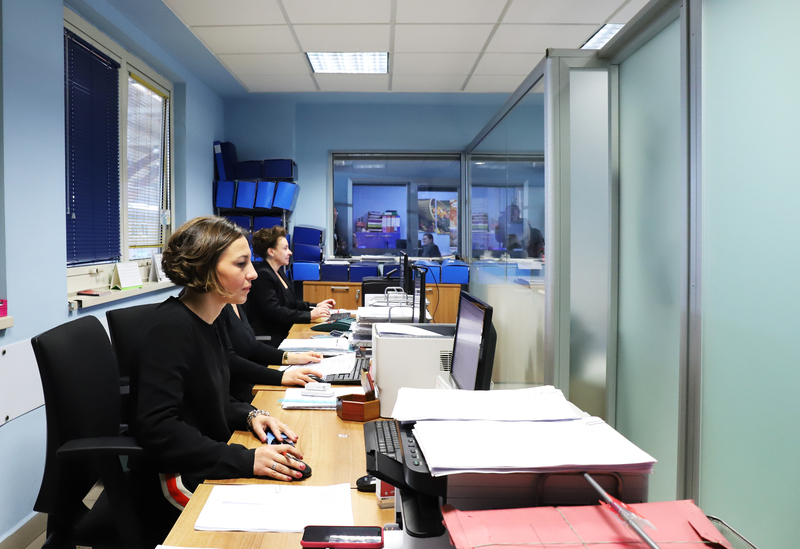 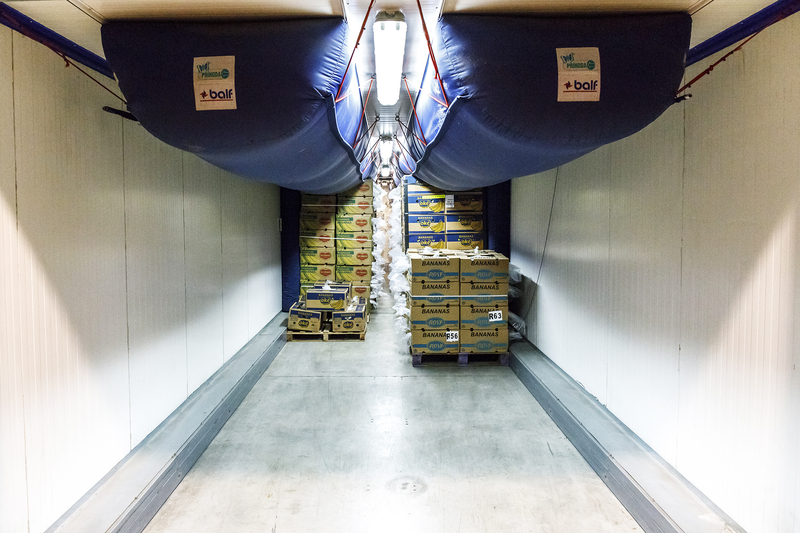 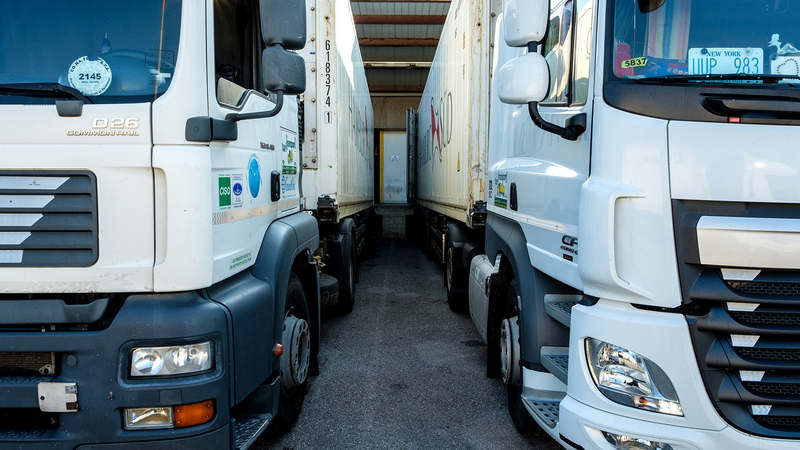 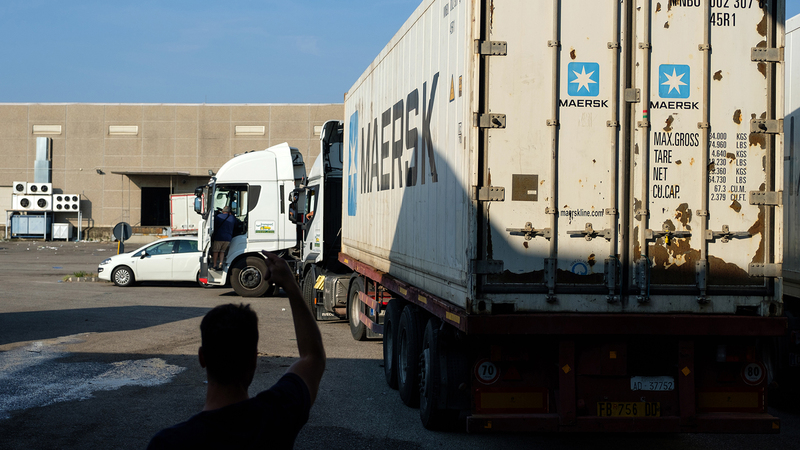 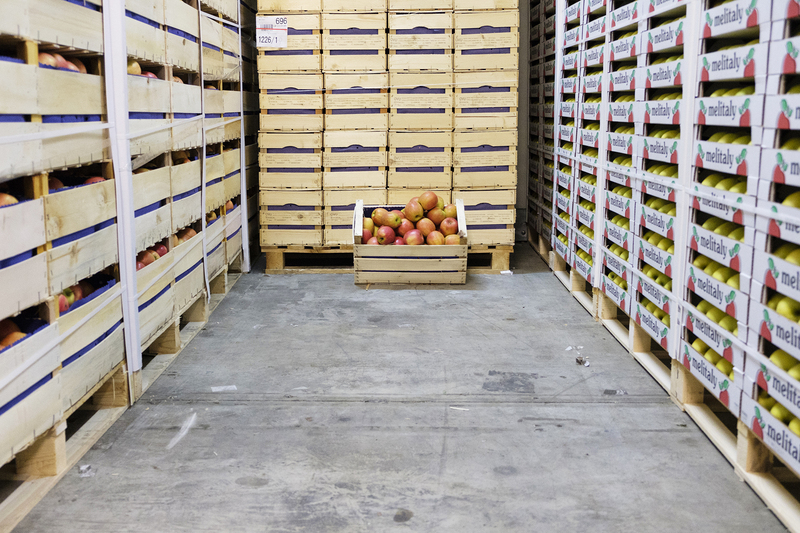 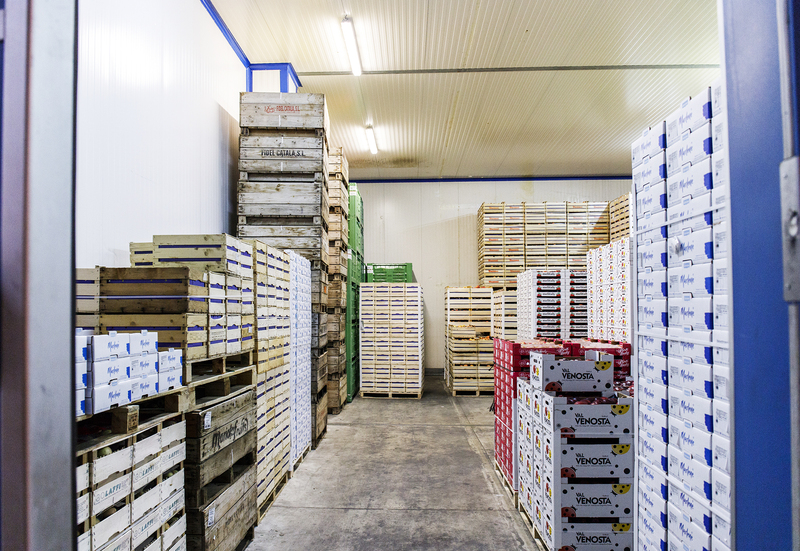 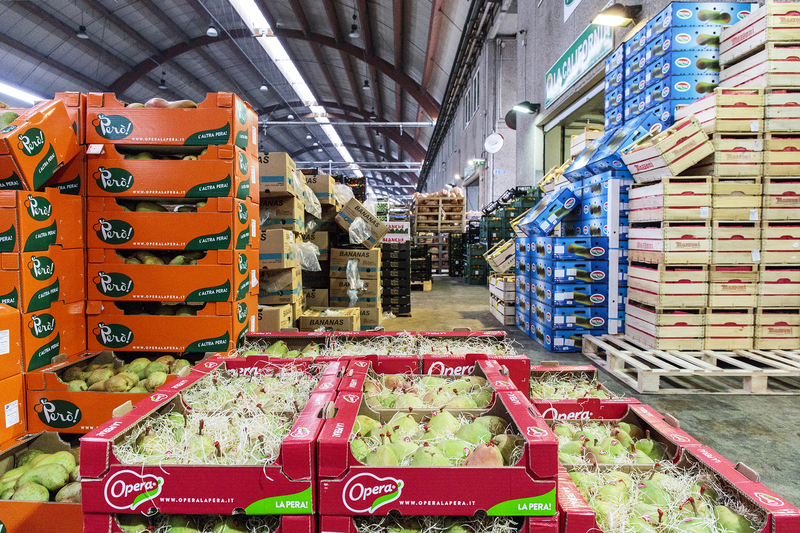 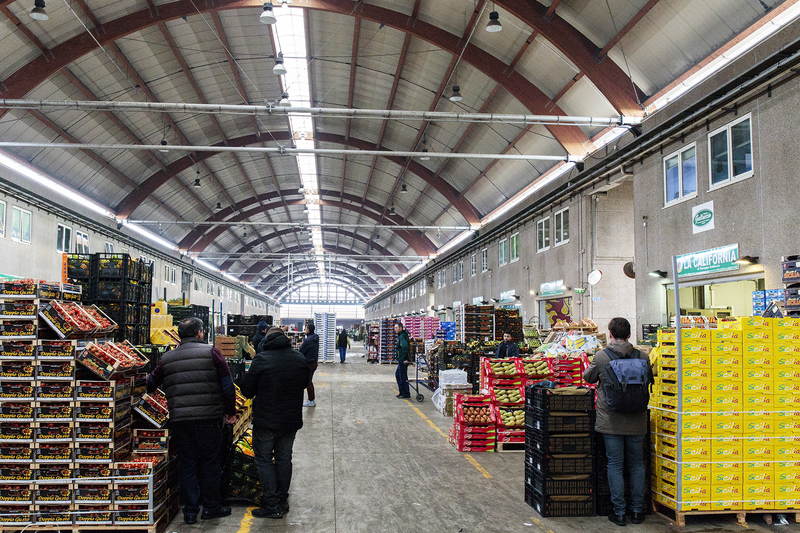 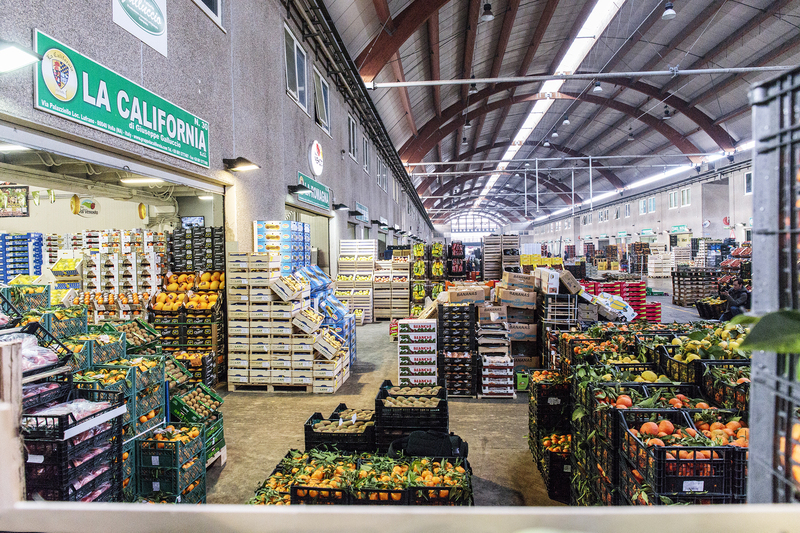 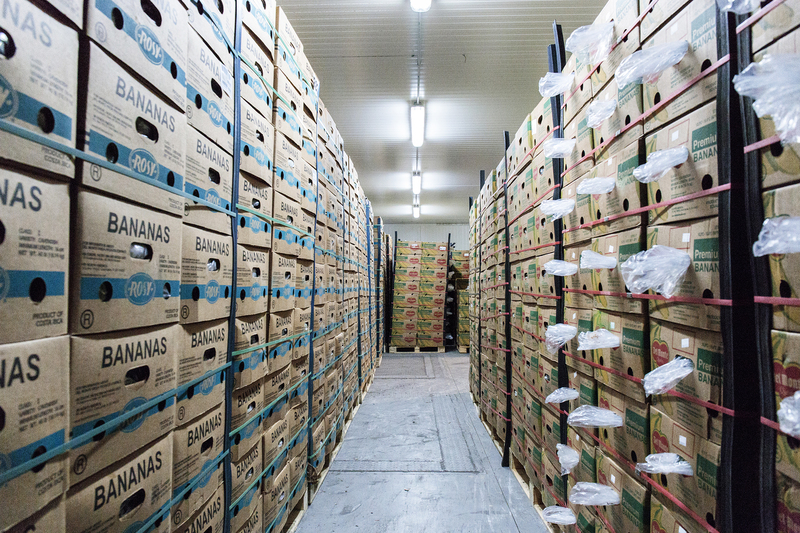 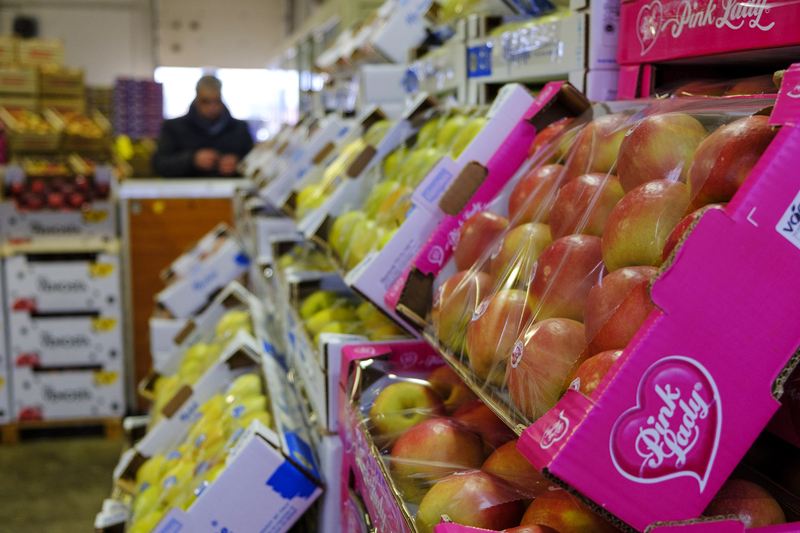 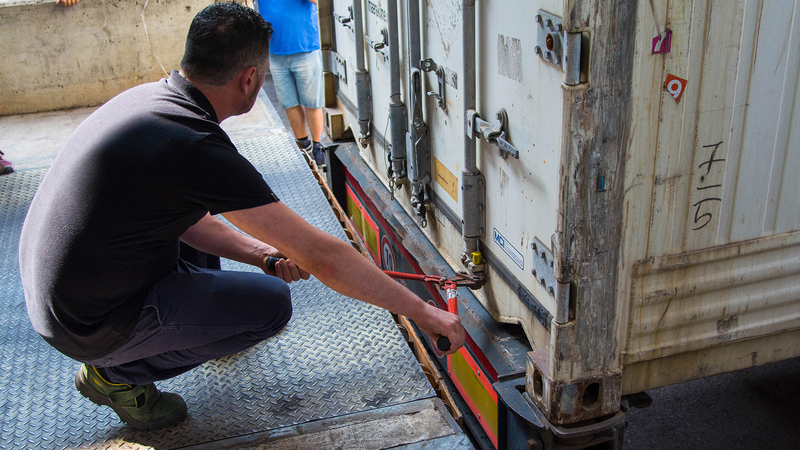 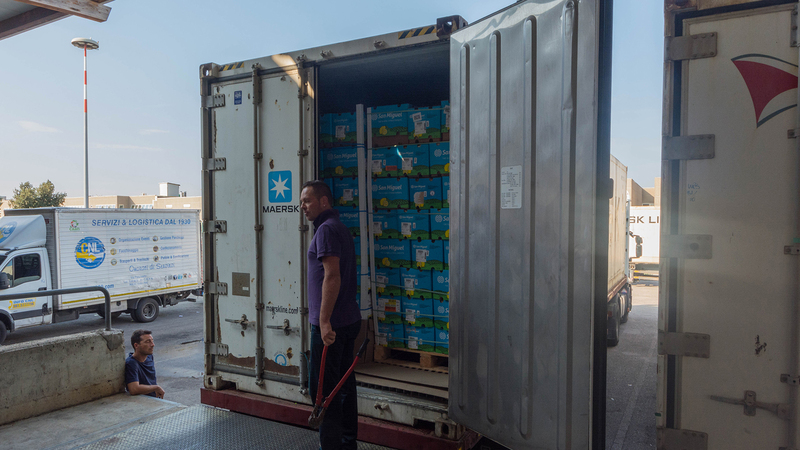 It has a refrigerated warehouse that, given the geographical location, is able to serve the entire Italian territory on the general markets and CE.DI. 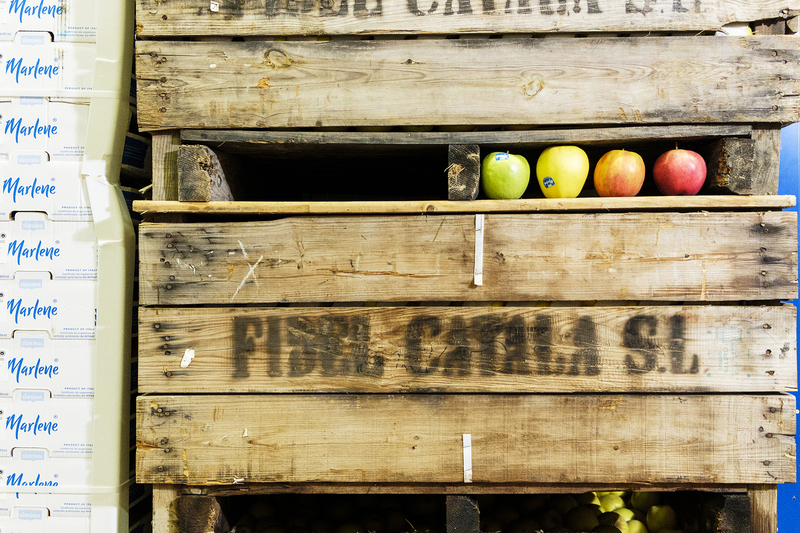 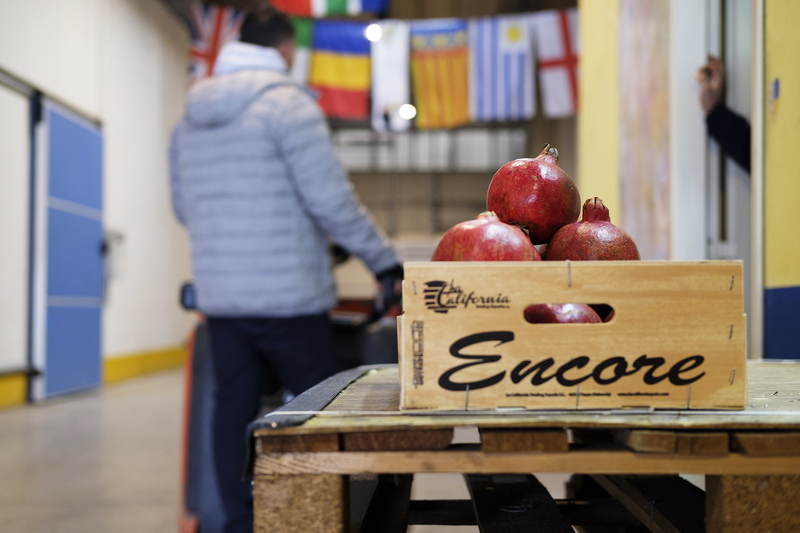 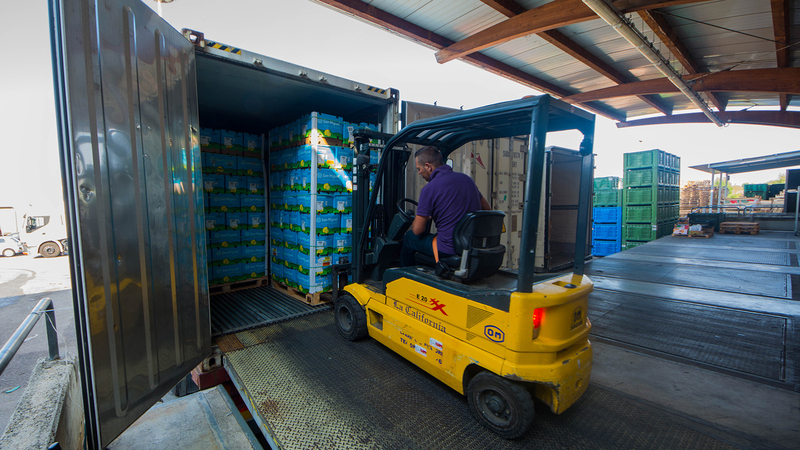 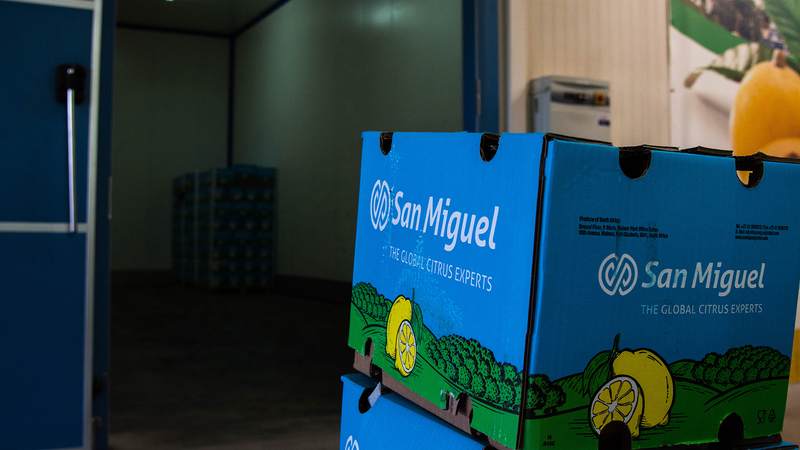 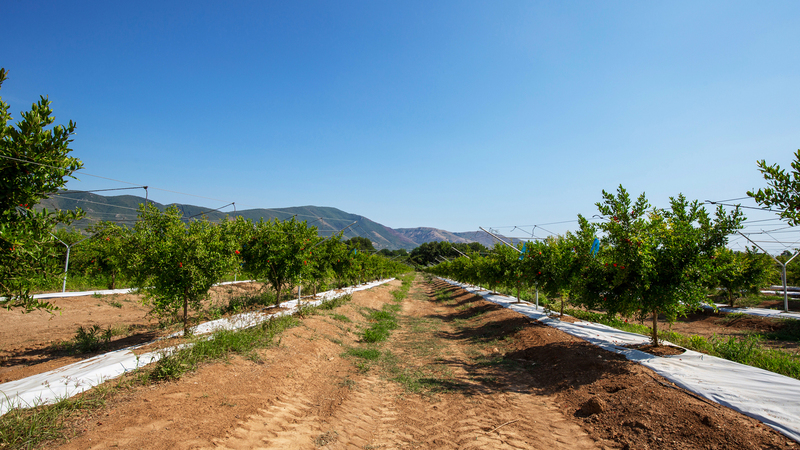 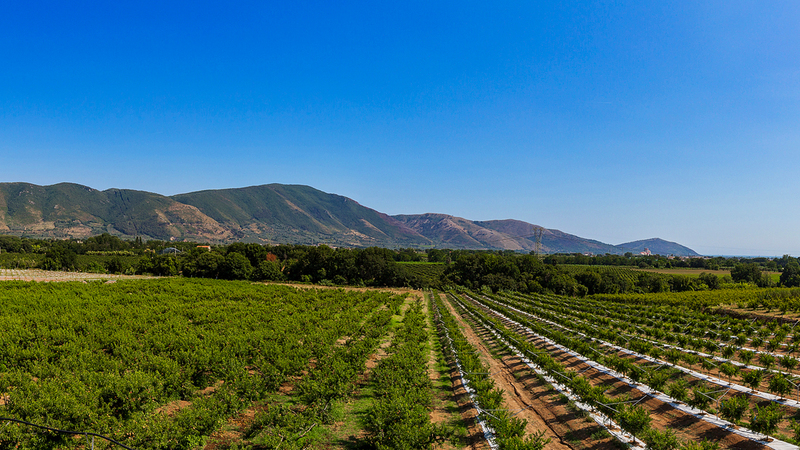 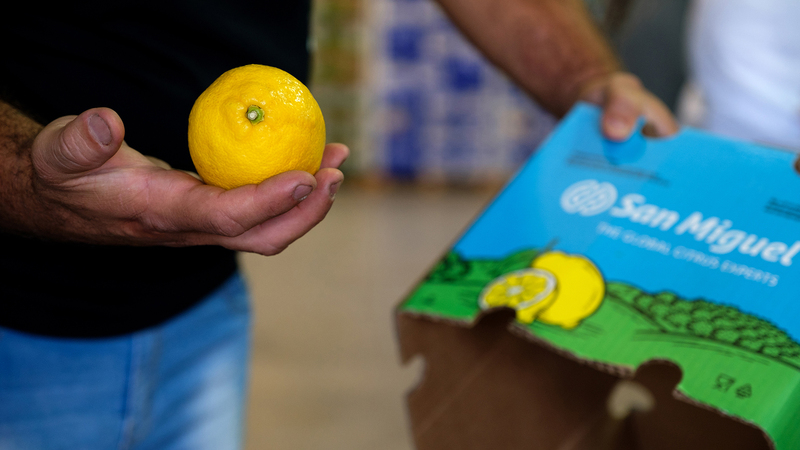 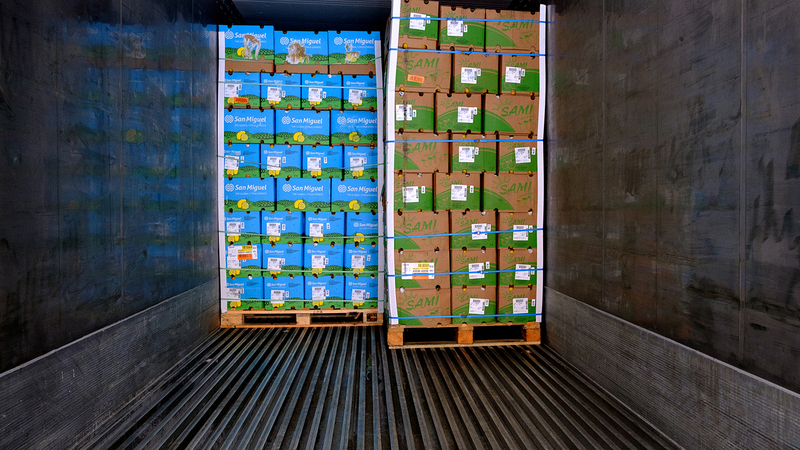 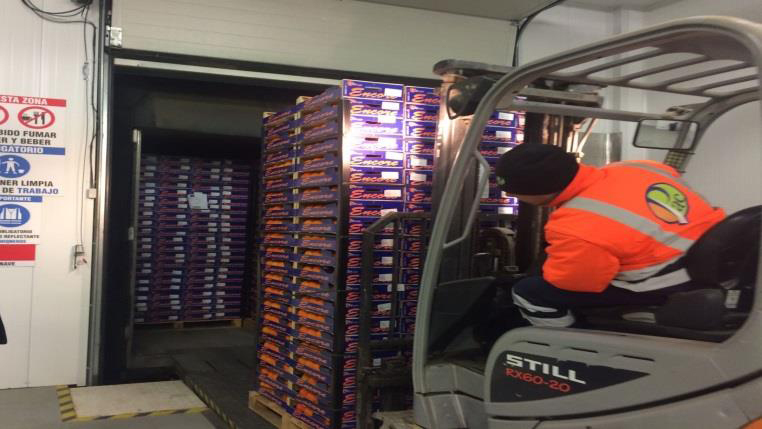 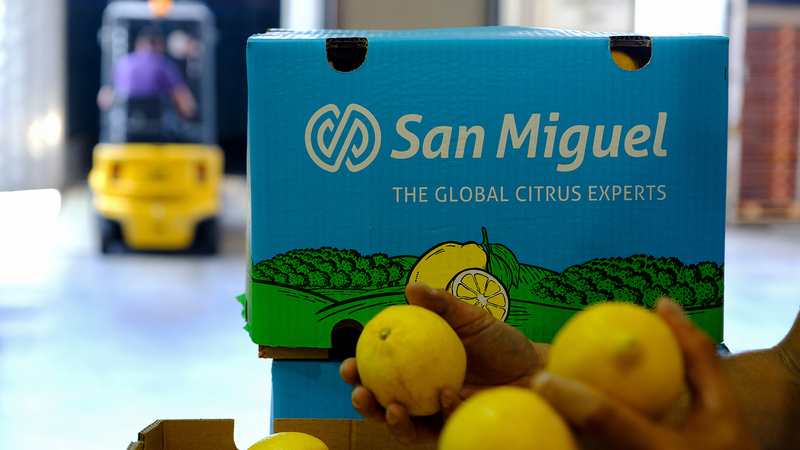 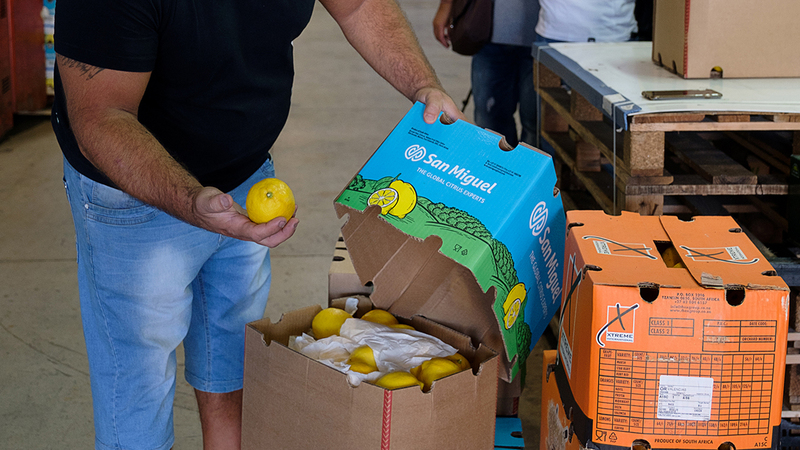 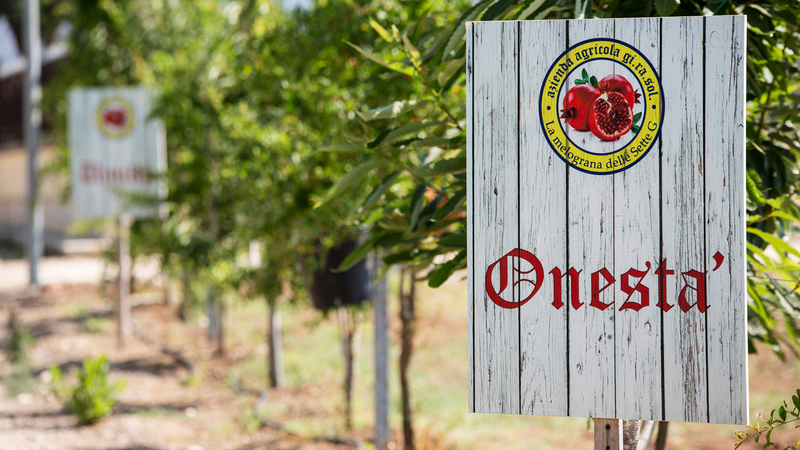 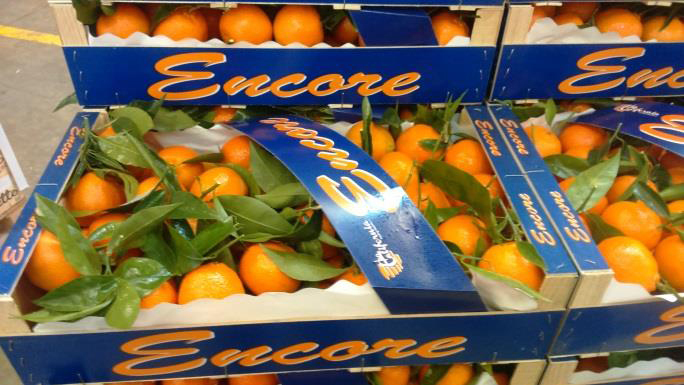 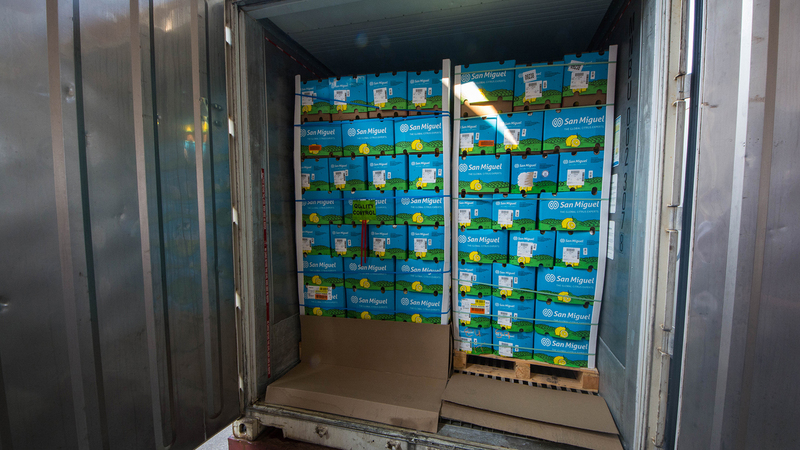 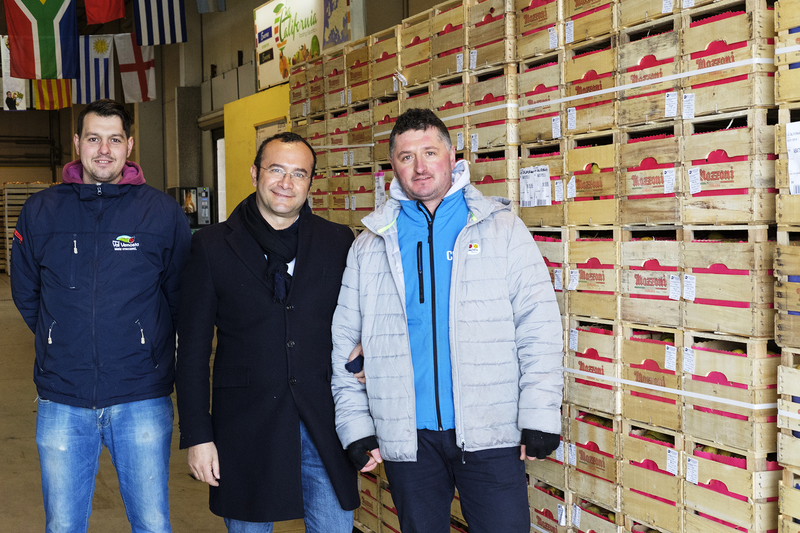 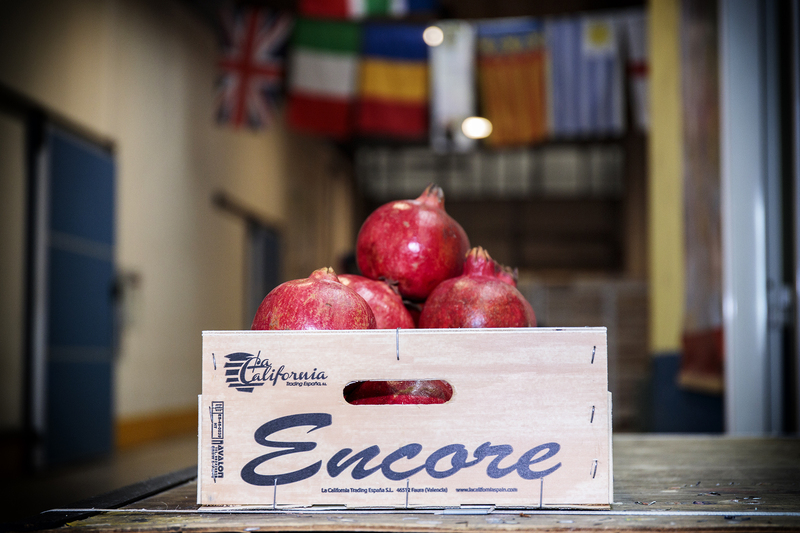 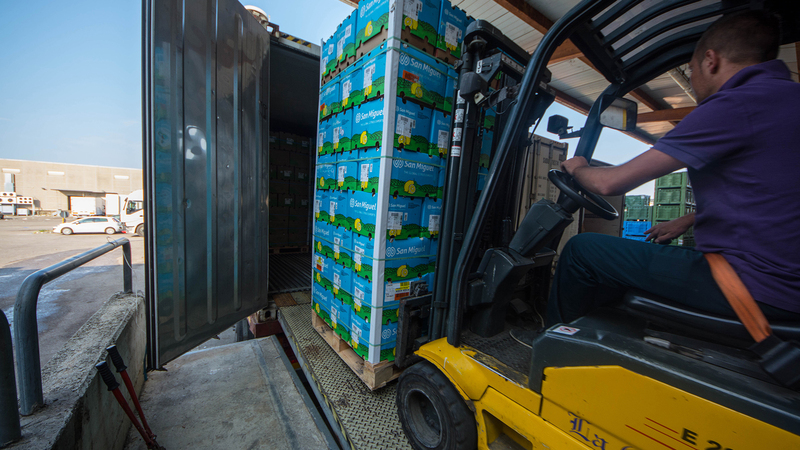 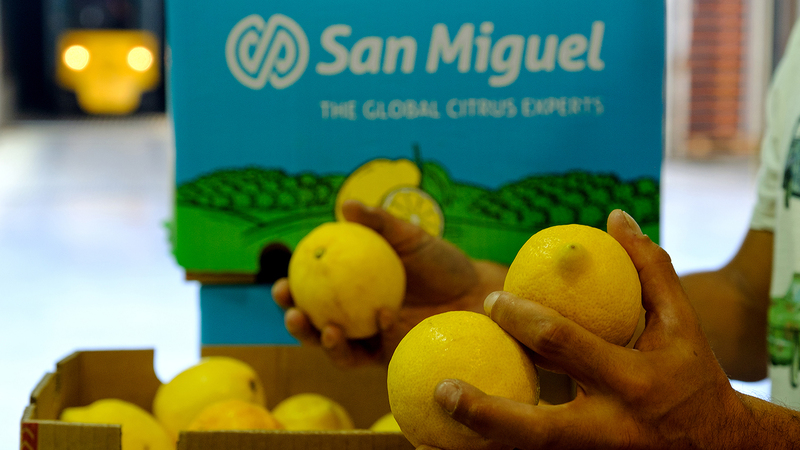 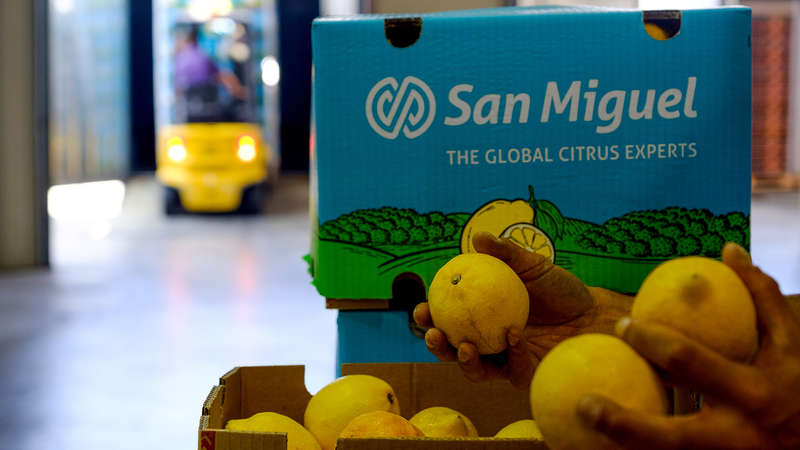 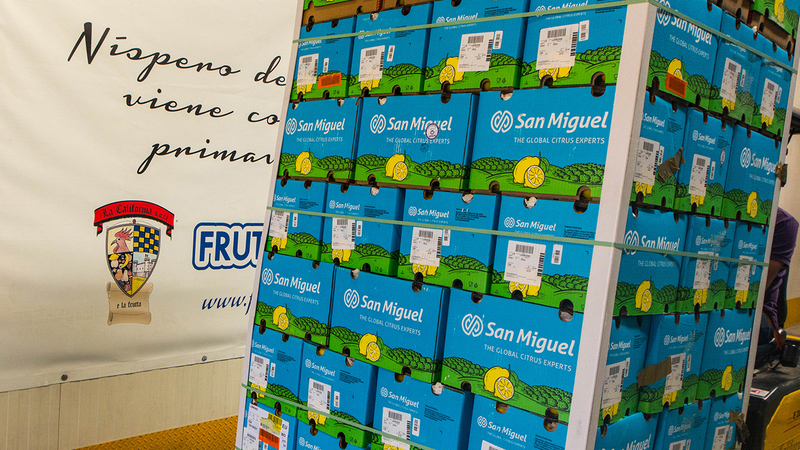 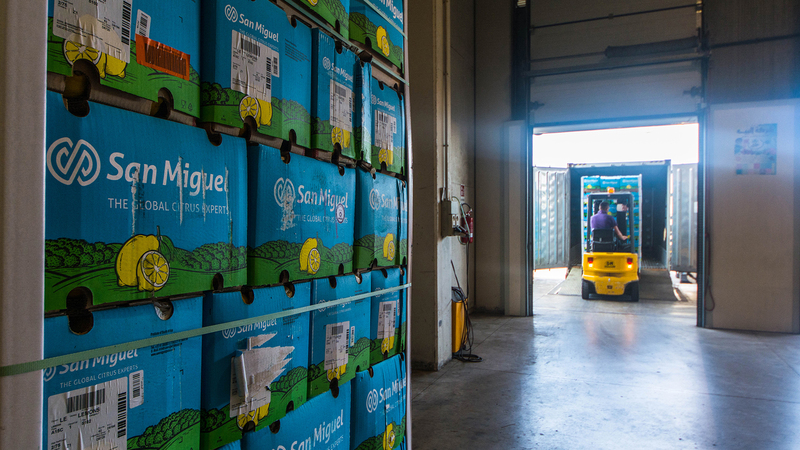 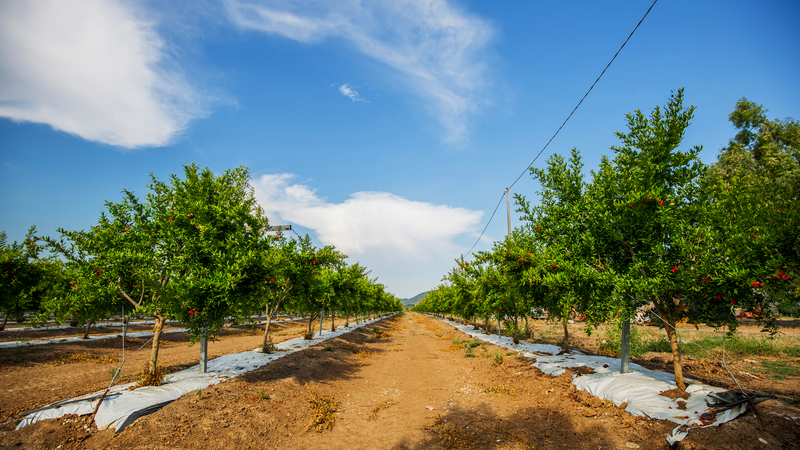 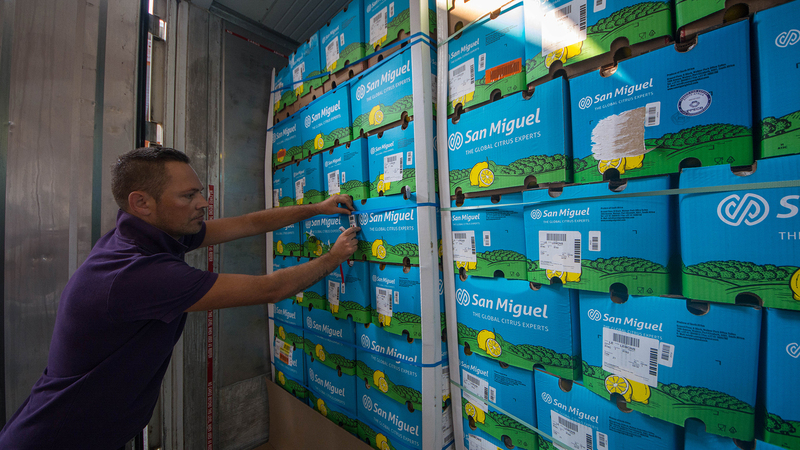 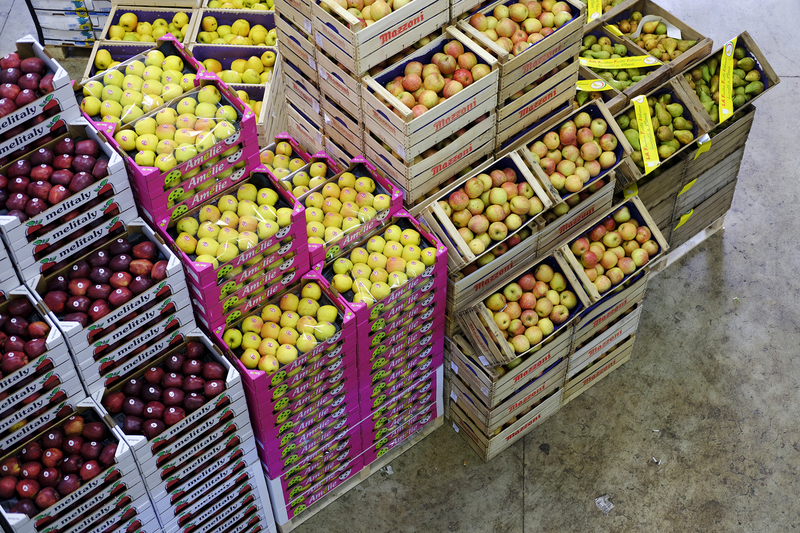 California Trading Espana, the owner of the Encore brand, is able to pack the selected fruit for marketing and export worldwide.